Nithya Menen is a very well-known actress for Telugu people. She accepts only acting oriented movies and doesn’t go with commercial films. Her all films are different and her roles have good space in those films. Now, she is coming with a thriller film Prana and the director is V K Prakash. V.K Prakash is the Malayalam film director and he won two national awards in the past. Actually, his movies are very different from regular formats and his titles also like that. 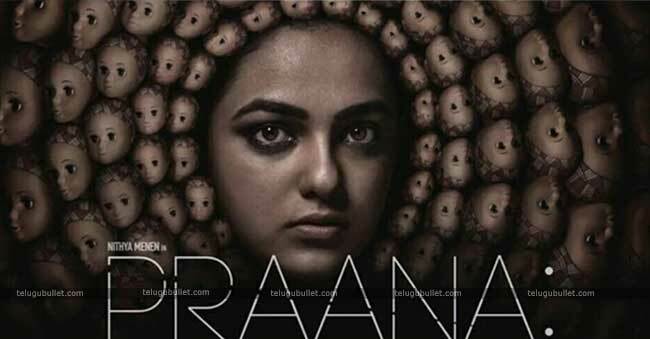 Albeit, the actress Nithya and the director Prakash are coming together with this Prana. 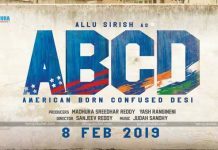 However, an interesting point was that this movie will be released in four languages such Telugu, Tamil, Malayalam, and Hindi. In this movie, Nithya played the lead role and recently, the film shooting was also completed. Malayalam star hero Dulquer Salman has released the first look of this Praana and it got a good response from the audiences. Now, the team has released the second poster. The posters very different for looking and it may something big. As well as, the great cinematographer P.C.Sriram is the cinematographer of this film and Louis Banks is the music director of this film. Actually, Louis Banks is the Nepalese film composer and he has been referred to as the Godfather of Indian Jazz. Thus, this film has the famous crew and it is creating the good buzz in the film industry. Hope that Nithya may get applause for her acting in this. 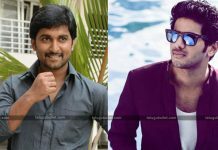 Nani Signed yet Another Multi-Starrer With A young Hero?